Millcreek has attached these 8 pictures. The message is below. 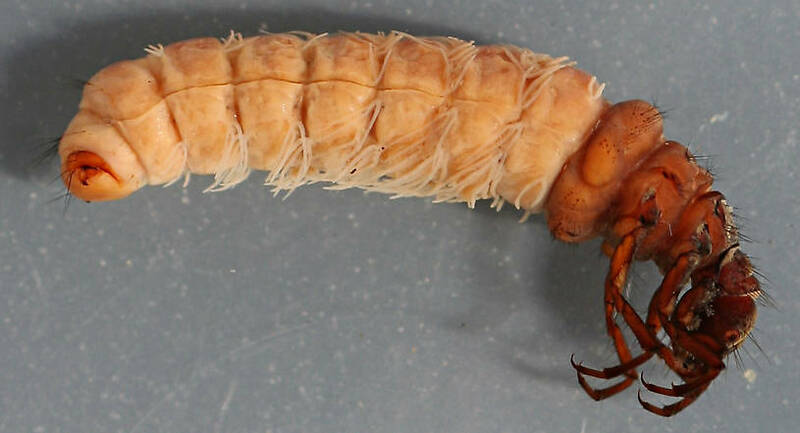 Mature larva. 22 mm. In alcohol. Mature larval case. 24 mm. In alcohol. Mature larval case. 23 mm. (not including trailing stick). In alcohol. 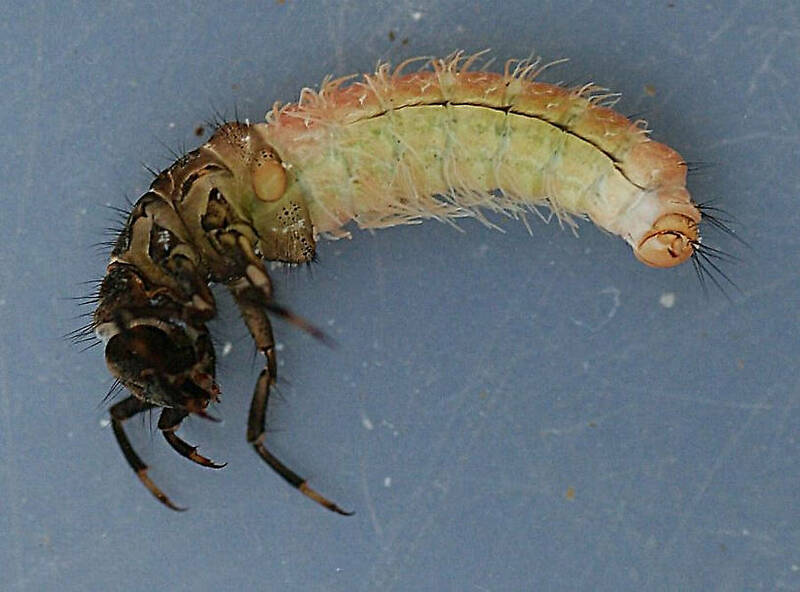 Early instar larva. 12 mm. In alcohol. Intermediate larval case and larva. Case shows characteristics of early instar case towards the back while incorporating flat pieces towards the front. Case 15 mm. In alcohol. 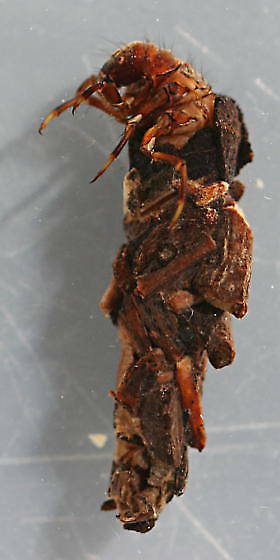 Early instar larva. Case 14 mm. In alcohol. 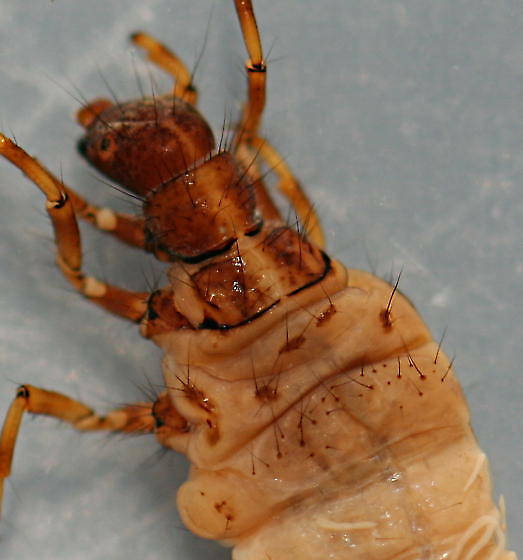 Posts: 318 A fairly common caddisfly in smaller tributaries of the Russian River though I haven't found it in the mainstem. The larvae were identified to genus using Merritt, Cummins and Berg (2008) and Wiggins (1976). They're probably Onocosmoecus unicolor. 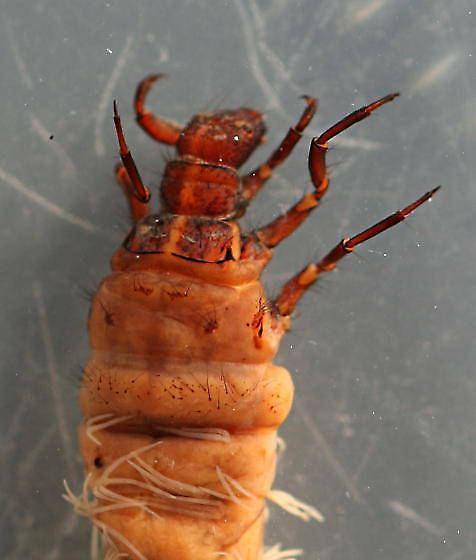 The larvae are usually found in areas of slow current in deeper water that has undercut banks with tangles of roots or branches extending below the waterline. 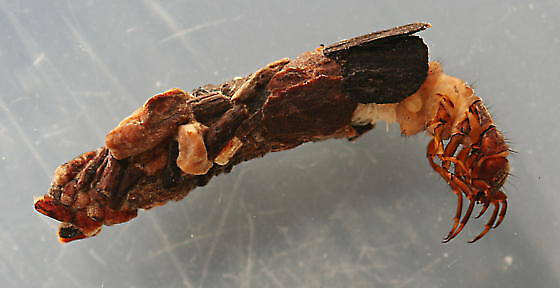 Sweeping along the roots or branches yields the largest numbers of larvae. 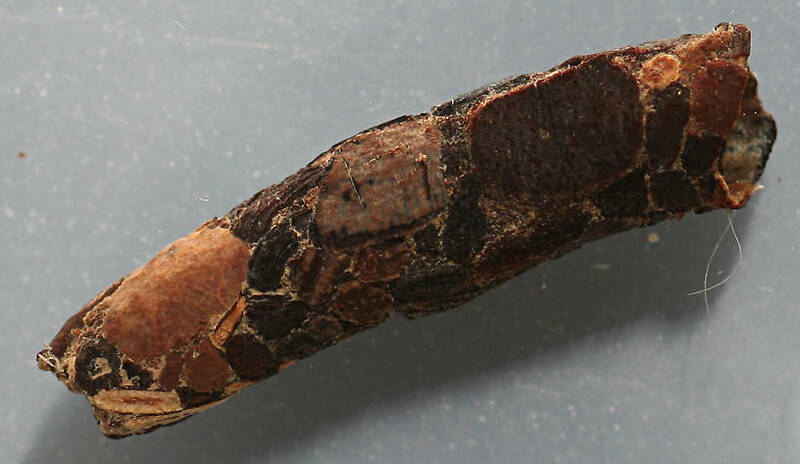 Earlier instar larvae construct cases of bits and pieces of twigs and flat pieces of wood that are irregular in appearance while later instars construct a more orderly case out flat pieces of wood, often with a stick trailing out from the bottom end of the case. Most larvae were collected from February through May.